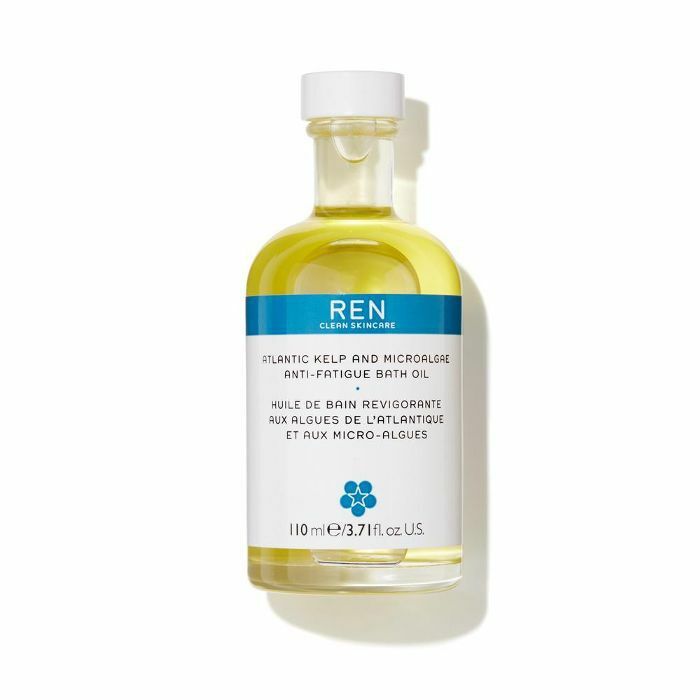 As we British beauty fans know all too well, sometimes it can be a while before hot new products from the States make their way across the pond. In recent years, Pat McGrath Labs, Glossier, Drunk Elephant, CeraVe are just a few that we've had to patiently wait for. So I'm bragging a little when I tell you that Marie Reynolds's new mask Dermabiome (£57) can't legally be shipped to the U.S.
Reynolds is a holistic facialist who has debuted a complete skincare and supplement line this week. When I met with hrt last month, she walked me through her new collection, and it's clear that for her, good skin is all about a healthy gut and microflora. At the core of her new range are supplements that tackle issues inside and out. There are tablets to balance yeast and thyroid function, calm inflammation and boost collagen. Alongside the supplements is a range of skincare products all about boosting the skin's healthy bacteria. 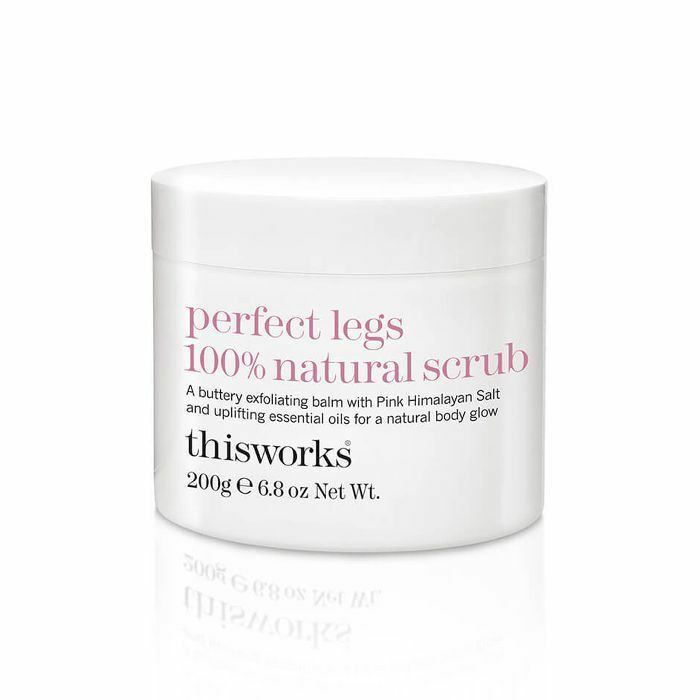 What's key to know when shopping this new range is that as well as the microflora in our gut (which is made up of both good and bad bacteria), we also have bacteria on our skin. 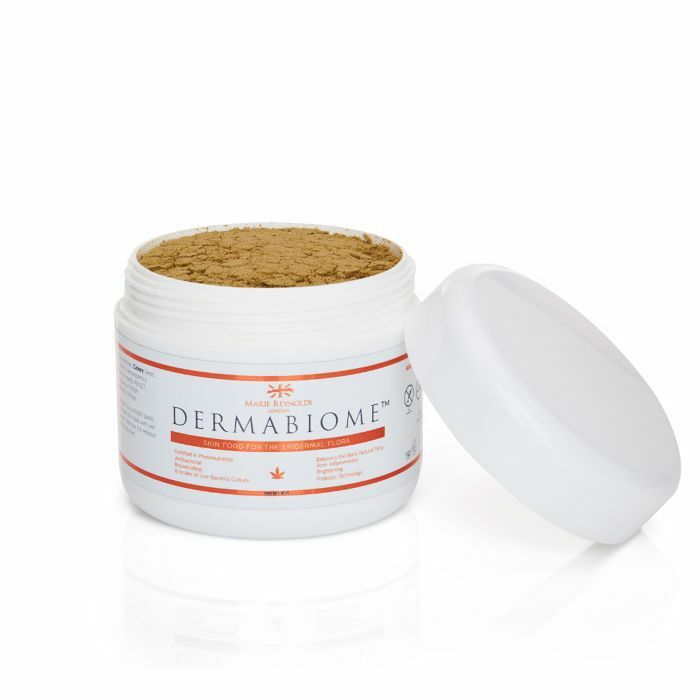 Dermabiome contains probiotics (the good bacteria that keeps skin protected and healthy) as well as prebiotics to feed microflora. Keep scrolling to find out more about the mask and to see it in action. Dermabiome comes in powder form, and you simply mix with water to form a paste, applying it to the face and neck and leaving on for 15 minutes before removing. It's packed with various skin-boosting strains of probiotics, as well as prebiotics and phytonutrients like hemp protein, beetroot, alfalfa, spirulina and green tea extract. The ingredient list basically reads like a fancy juice recipe (healthy indeed). Used a couple of times a week, the mask works to feed the skin and create the ideal environment for that healthy bacteria to flourish. Whatever skin issues you're dealing with, this mask will be a great addition. Even if you have clear skin, it has a brilliant brightening, rejuvenating effect on the complexion. I will warn you, though: It smells as "healthy" as its ingredient list suggests. But what it lacks in sensory joy it makes up for in efficacy, and that's where it counts. It's a little messy when it comes to the mixing part, so I use mine in the bath on Sunday night. I applied it for the allotted minutes, and straight away my skin looked calmer and even. In the days that followed, my skin remained happy—no blemishes or redness. Quite remarkable, as I'd had an allergic reaction the week previous, and had been dealing with residual redness and small bumps across my face. 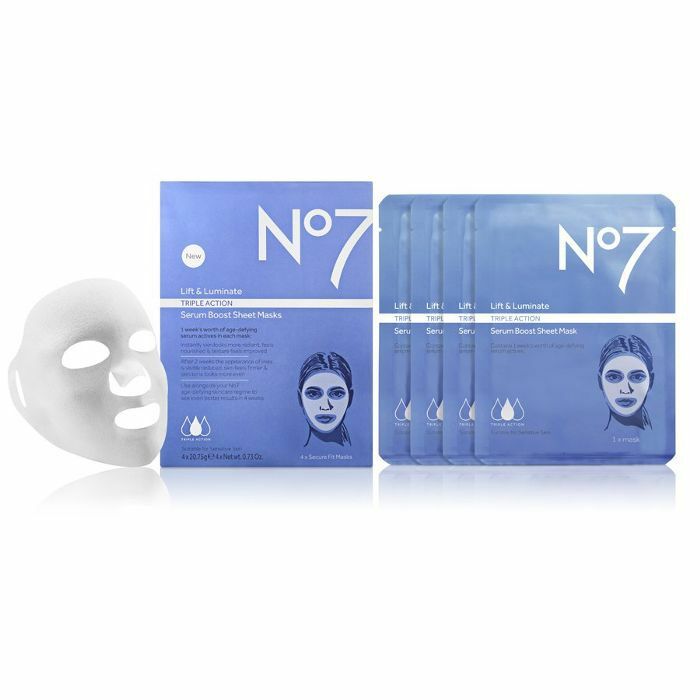 This mask slots into any skincare routine. You can follow with Marie Reynolds's products or your own. Think of it as a healthy bowl of vegetables for your face. After all, sometimes we all crave some goodness inside and out. Next up, these are the serious skincare products our readers buy.